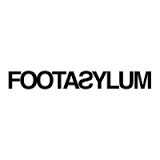 ● Shop FootAsylum’s Sale section and save up to 70% on select footwear, clothing, and accessories for men, women, and kids. ● Students can get a 10% discount. All they have to do is register and verify their student status here. ● If your delivery address is within the United Kingdom, spend over £50 so you won’t have to pay for shipping fees. You can also have your order delivered to one of FootAsylum’s stores for free. ● Extra discounts you can get from FootAsylum coupons can let you save up to 10% on select items. ● Always check FootAsylum’s Competitions section to see what they currently feature. The shop usually gives away VIP tickets to events as prizes. Shoppers that are interested in the latest trends in streetwear will enjoy the merchandise available from Foot Asylum. Although their company name suggests that they sell footwear they also sell clothing and loungewear. On the front page of their site you can browse through the items that they have for men, women, and kids. It can also be beneficial to look for specific merchandise based on their brand, especially if you are keen to a particular designer/manufacturer. If you're interested in seeing the items in person before you order online, Foot Asylum has a store finder at the top of their site. For most up to date offers check out Foot Asylum on Facebook and Twitter or contact Foot Asylum Support for any questions.